People new to payment processing often meet dozens of new terms as they take their first steps down this road. A payment gateway, payment processors, and a merchant account do not mean squat to them. And what is more, they often view these terms as interchangeable. However, they are not. Though these terms bear a direct relation to payment processing, they all mean different things. And to help you out, we have written this short article. It explains each term and let you see the connection between each one of them in online payment processing business. A payment gateway is “software we use to transfer transaction data from the merchant to the acquiring bank. This software serves as an interface between the payment form on the merchant’s website and an acquiring bank”. Along the way, all the information is encrypted to prevent any information leak. We strongly recommend every merchant searching for a reliable payment gateway to make sure that the payment gateway he is about to use is compliant with the PCI DSS standards. A payment gateway is the system inside of which information flow takes place. The information is shared between an issuing bank, a merchant, a card holder, and an acquiring bank. Even though typically transactions take less than 10 seconds to complete, the information flow consists of nine steps. A user makes an order online and decides to pay for it with a credit card. He clicks on the “Order Now” button, and the website redirects him to the payment page where he enters all the credit card details essential to complete the payment process. He clicks on “Submit” and moves on to the next stage. Data entered by the user is sent to the merchant who redirects it to the payment gateway along with the order amount. Next, an authorization request from a payment gateway is sent to the acquiring bank and then to the IPS (MasterCard/AmEx/Visa) and issuing bank to make sure that the payment card in question is real and valid. In case, the card is 3D Secure, the customer will be immediately redirected to a page to enter his password and verify that he is the cardholder. Once the issuing bank verifies the password, it sends a notification to the IPS. Then, the IPS transfers the verification to the acquiring bank. Finally, the payment gateway requests the acquiring bank to subtract order amount from the payment card. The issuing bank proceeds to find out whether the customer has sufficient funds on balance. If he does, the former transfers the requested amount of money and confirms the transaction to the IPS. MasterCard/AmEx/ Visa sends a confirmation to the acquiring bank and payment gateway. Within up to 15 minutes the merchant gets information about the transaction in case it is successful, and right after that, funds are withdrawn from the cardholder’s account. The information flow is a complicated process, but it never takes more than a couple of seconds. Now, let’s see who a payment processor is and what his role is. Who is a payment processor? A payment processor or a Payment Service Provider (PSP) is a company or a financial institution chosen by a merchant to process his online payments including credit and debit card payments as well as those conducted via alternative payment methods. Each payment processor uses special software to process, store, and analyze the merchant’s transactions. Payment service providers serve as mediators between a cardholder, a merchant, an acquiring bank, a payment gateway, and an issuing bank. They help customers conduct online payments in seconds without having the merchant develop their own software for payment processing. 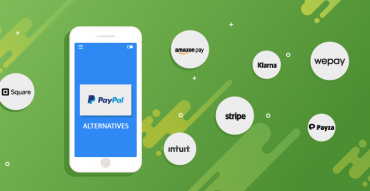 Choosing a right payment processor is vital to your business. Not only good PSPs guarantee pleasant customer experience but also increase your conversions with improved and simplified payment gateways. A merchant account is an agreement between a merchant and an acquiring bank that allows the former receive and process credit card payments. As we have mentioned it in our previous article, getting a merchant account is essential for all those willing to reach out to a broader audience. More and more people are willing to pay for goods and services not with cash but with credit cards – and that’s why a merchant account is a must! Acquiring a merchant account is the starting point of every online merchant. So, before you dive into business, consider shopping around and comparing your options: there are numerous merchant account providers out there, but your goal is to choose the best-fitting one. To make sure you’re making the right choice, pay attention to several details. Identify your customers’ credit card needs. Who is your target audience and what credit card brands do they use? Statistically speaking, Visa is the #1 credit card brand in more than 120 countries, but this might not be the case for you and your clients. So, do your research first and then check out what brands a particular merchant account provider works with. Agree on a payment model. Depending on what goods and services you offer, your business might offer different types of payment models – one-time payments or recurring billing. Fees and conditions on these payments differ. That is why it is vital to ask questions and clarify all the details before signing an agreement. Find out your local options. It’s better to seek the assistance of a local bank. But in case you own international business, opening an account with a local bank will significantly slow down the payment processing. So, choose what works best for you. Any merchant account provider will check your website to see how well it complies with the MasterCard and Visa requirements. Therefore, prepare it in advance to save some hassle in the process. Gather all the essential documents and submit an application form once you complete previous steps. Once you go through all these steps, you’ll be all set to run your online business and accept online payments. The duration of an account opening depends on the bank. So, make sure not to rush into anything without knowing for sure when your account will be ready. 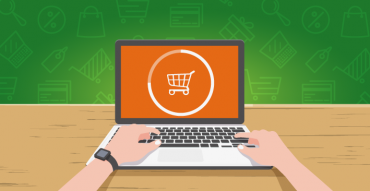 A clear understanding of these three terms, a payment gateway, a payment processor, and a merchant account, will help you a lot as you prepare to take your first steps in online business. 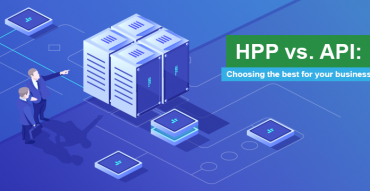 We highly recommend you to read our article called “How to Choose a PSP for a High-Risk Merchant” to make sure you understand the difference between a low and high-risk merchant and how being in either of these categories influences their business on a day-to-day basis.